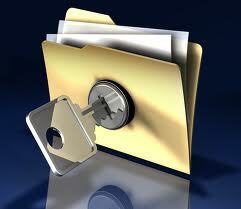 Data storage and space has become key in today’s business world and even in our own personal lives. Technology has advanced beyond anything we could have dreamed of but it is not so much about looking back at where we have come from but looking forward and protecting what we have. All of the information that is needed for storage is vital. We are in an age where data is behind every thing we do. Whether we need to go back and review files, look over old tapes or just to know that our most confidential information is protected, data is quite frankly, essential. That is why data storage and space is in such demand. Ordinary computers and hard drives are just not geared up to keep hold of information in this capacity and confidentiality really needs to go without saying. You wouldn’t store your furniture or prized possessions just anywhere, would you?! Our services provide people and businesses with a wide range of ways to store and access their data. Whether it is online data back up, archive storage or even confidential destruction, here at Data Space UK we have the tools to help. Data Space UK can archive your documents, scan them, store them, allow them to be easily accessible to you, destroy confidential information, and even use digital pen technology to capture your data. Whether your documents are paper based or electronically based we will find the most effective storage facility for you. It could be medical records from a hospital, legal documents at your firm, or security tapes from a shopping mall. Things we so desperately need but simply have no space for, whether physically or digitally. So why not have a look at our range of services on our website or contact us for more information.